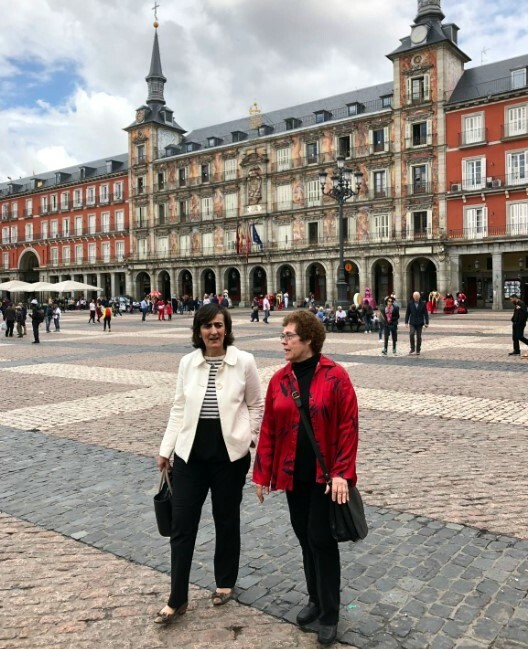 In this letter to IAMCR members, Loreto Corredoira, head of the Local Organising Committee (LOC) of the Madrid conference, tells us about recent developments, including exciting news about two excellent plenaries. Time flies, and what began as an idea on the campus of Leicester University during IAMCR's 2016 conference is now taking shape as a reality. We are working hard to welcome you to Madrid this July at the School of Communication on the Moncloa campus. We want to give you two important items of news. First, the Welcoming Ceremony will be held at the Cibeles Palace, in the heart of Madrid, on the afternoon of Sunday, 7th July, thanks to the collaboration of the city of Madrid, and with the support of Sunset Cinema. Second, we are proud to announce the presence of two very prestigious speakers. For the inaugural session, the speaker will be Javier Gomá, philosopher and Director of the March Foundation of Madrid, who will deliver a lecture on Dignity, a revolutionary principle. As we already announced at IAMCR's 2018 conference in Oregon, we will soon open a number of online discussion groups on this subject so that those from the Sections and Working Groups who so wish can actively participate. More information about Javier Gomá and his intervention at IAMCR 2019 is on the conference website. We can also confirm that the speaker at the second plenary session will be Yoani Sánchez, a Cuban journalist and blogger, who is well known for her defense of freedom of information. This session will be a panel on Communication, Technology and Freedom. For more about Yoani Sánchez, including a video sneak peek on her intervention, visit the IAMCR 2019 site. We are open to any suggestions or additions to this event which you may like to propose. So that you will be able to “recognize” us, we've created a page on our site with a list of Complutense professors who are members of the Local Organizing Committee (LoC), and whom many of you already know. Those of you would like to propose a pre- or post-conference event should complete an application. The School of Communication has rooms available at very reasonable prices on July 6 and 12 so events can be held on site on those dates. Other local universities have facilities available on July 7. Contact the LOC at madrid2019 [at] iamcr.org. José Antonio Ruiz San Román (jars [at] ucm.es), Assistant Dean for International Relations, will be on hand to help English language speakers; Elisa Brey (ebrey [at] ucm.es), will also be available for French speakers. On the web site, you will find important information regarding accommodation in Hotels or University Residences. We are actively working to increase the number of places available. We would like to thank the students of our School’s Agencia Junior El Estudio for the production of the promotional video presented at the IAMCR Conference in Oregon when we were named as hosts for the 2019 conference. This video is attached.